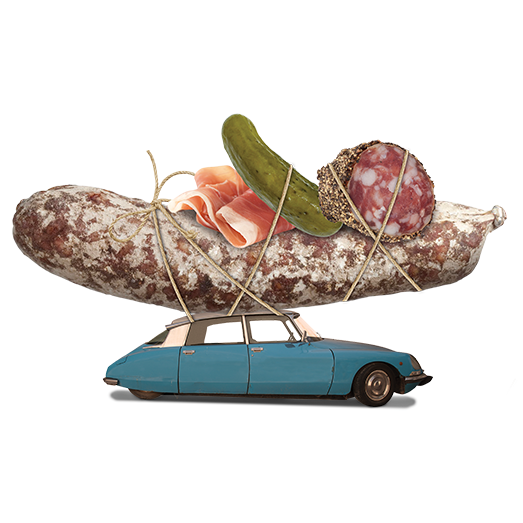 Saucisson Sec: Pork, Salt, Glucose Syrup, Lactose (Milk), Spices (Pepper, Garlic, Paprika, Nutmeg), Dextrose, Preservative: Potassium Nitrate. Prepared with 150g of pork for 100g of product. Moisture is lost during curing and maturation. Saucisson Sec with Herbes de Provence: Pork, Salt, Herbes de Provence Coating (2%) (Rosemary, Thyme, Basil, Marjoram, Parsley, Savory, Chervil, Lovage, Oregano, Gelling Agent: Pork Gelatine; Preservatives: Potassium Sorbate, Natamycin); Glucose Syrup, Lactose (Milk), Spices (Pepper, Garlic, Paprika, Nutmeg), Dextrose, Preservative: Potassium Nitrate. 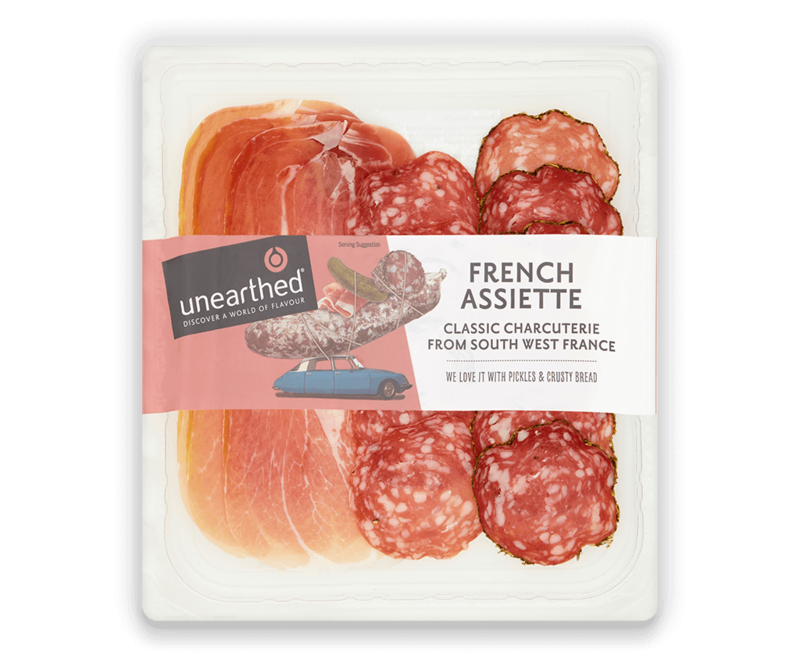 Prepared with 150g of pork per 100g of product. Moisture is lost during curing and maturation. Pyrenées Ham: Pork Leg, Salt, Preservative: Potassium Nitrate. Prepared with 140g of pork per 100g of product. Moisture is lost during curing and maturation.